We're warning all of you. This is a Bad Trip Man.... What a bummer! 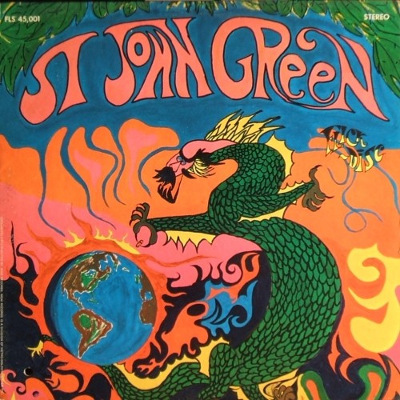 Somehow the legend of ST John Green has been passed on to generations of record collectors for nearly 40 years. Yes it is truly revolting stuff but until you have heard "Messages From The Dead", a four plus minute screaming essay on the seven layers of hell your psychedelic experience is not complete. The acid must have been really bad when they recorded this one. 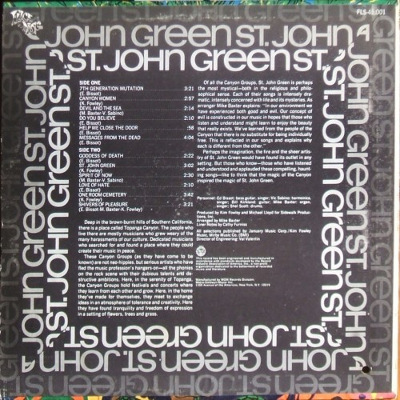 The album also sports groovy liner notes about how mystical the band is.